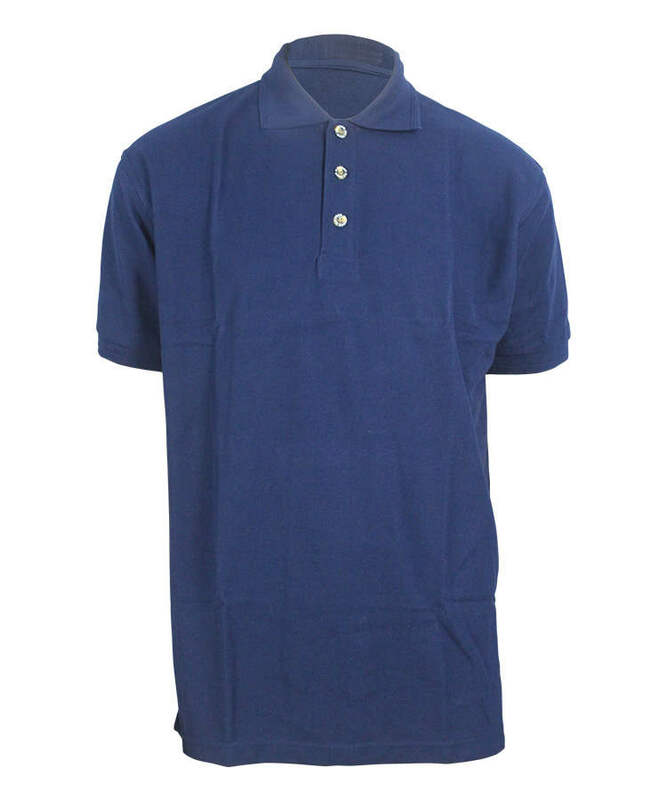 This cotton polyester flame retardant shirt made of 200gsm 60% cotton 40% polyester flame retardant fabric, and can meet EN ISO 11611, EN 61482-1-2, NFPA2112 and other standards. 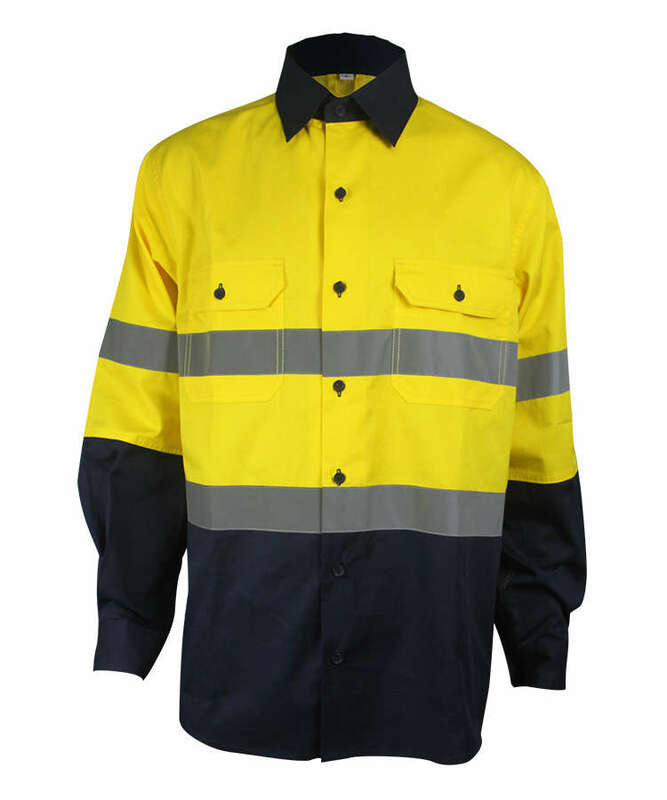 The cotton polyester flame retardant shirt can protect the workers from heat and flame, along with the soft hand feel and the best comfort. The cotton polyester flame retardant shirt has good strength and durability, and also with Yulong’s unique processing. Yulong’s cotton polyester flame retardant shirt has been certified according to Oeko-Tex 100 Class 2 and UL. 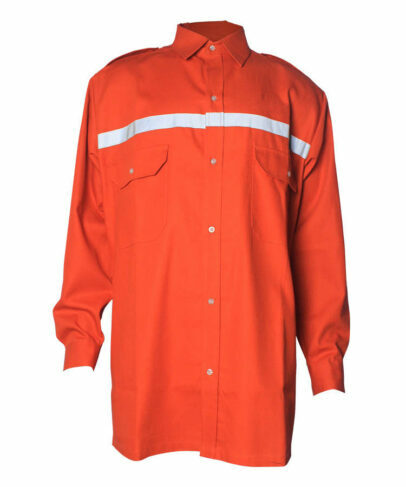 The cotton polyester flame retardant shirt is free from hazardous substance and skin-friendly. 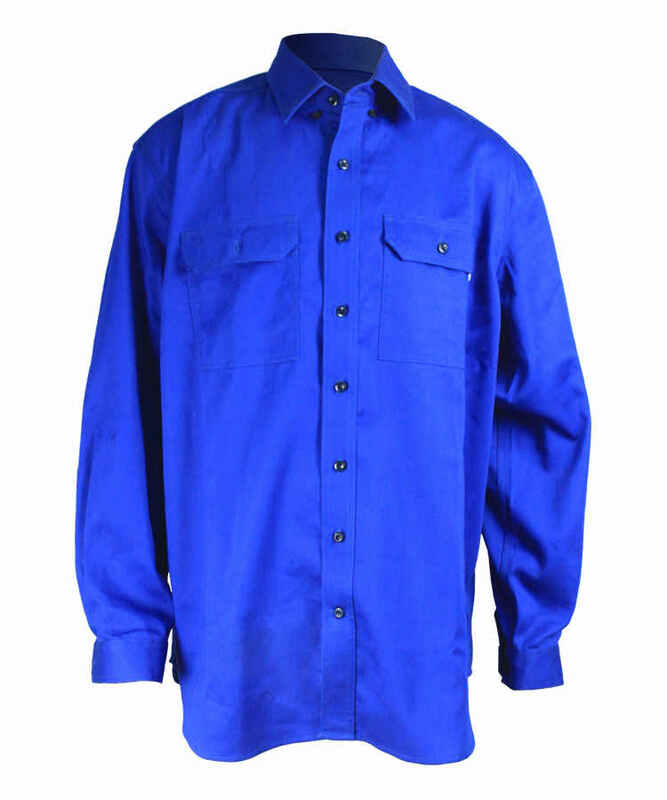 In addition, the cotton polyester flame retardant shirt color can be customized. And the FR function can also be combined with other additional function. 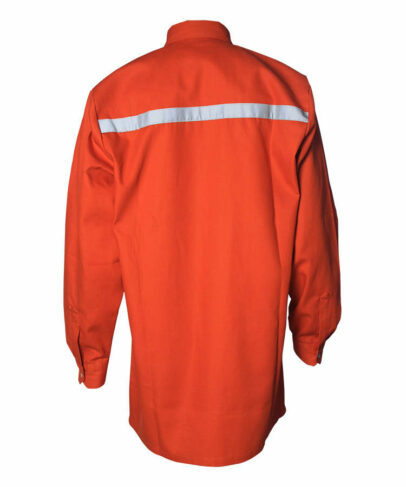 Shoulder mark on cotton polyester flame retardant shirt’s shoulder and closure with four holes button, which can open it freely. A patch pocket on each side chest, closed with four holes button. 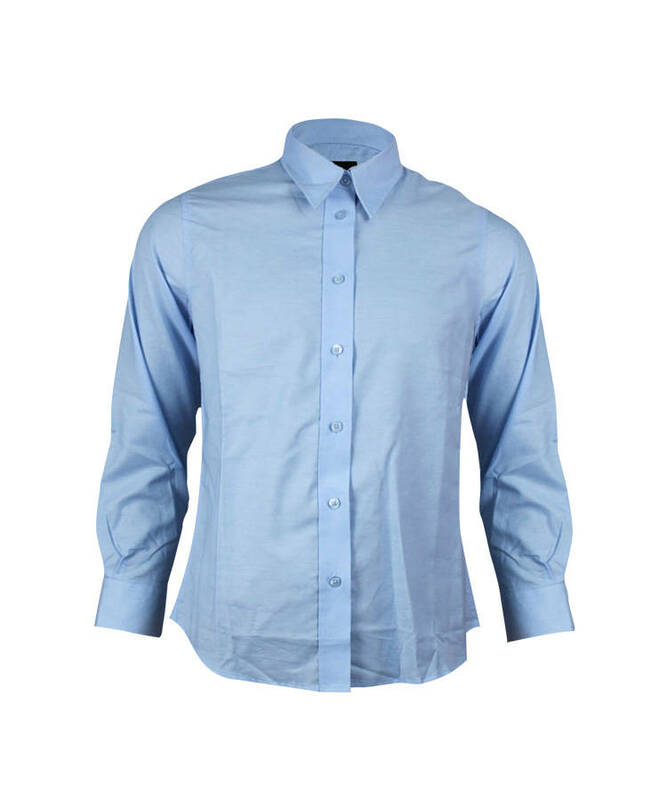 Cuff opening is jagged with sleeve placket rooftop, cuff with pleats, closure with four holes button. 3cm width reflective tapes on front chest and back of the cotton polyester flame retardant shirt, eye-catching and safe. Round bottom back skirt of the cotton polyester flame retardant shirt, makes it more leisure and fashion. 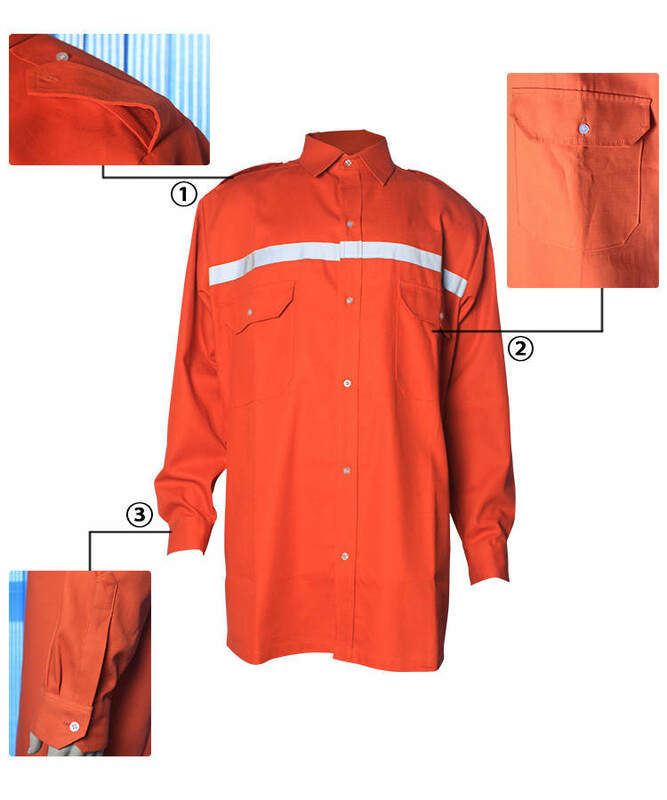 The front opening of the cotton polyester flame retardant shirt is closed with locked four holes button.